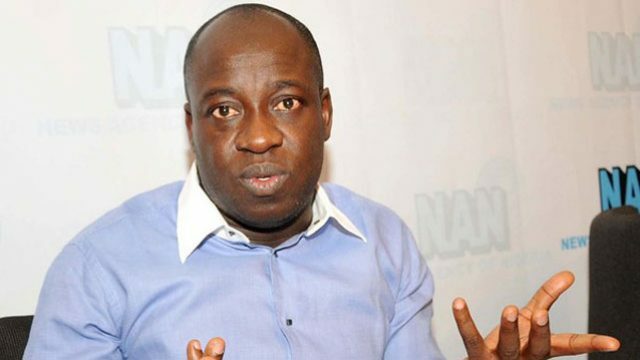 The National Publicity Secretary of the All Progressives Congress (APC), Bolaji Abdullahi, has revealed how former President Goodluck Jonathan’s Chief Economic Adviser, Prof. Nwanze Okidegbe, clashed with erstwhile Minister of Agriculture and current President of the African Development Bank Group (AfDB), Akinwumi Adesina, over alleged false job creation. Abdullahi, who served as erstwhile Minister of Youth and Sports Development under the Jonathan administration, made this disclosure when he featured on an interview programme entitled: ‘Conversations with Abang Mercy’. The APC spokesman, while discussing his soon-to-be-released book, ‘On a Platter of Gold: How Jonathan won and lost Nigeria’ said the fiasco between Adesina and Okidegbe occurred during one of the Federal Executive Council (FEC) over false claims made by the minister to have created over a million jobs through the activities of his ministry.